Doreen D’Agostino is an accomplished Senior Level Entertainment Publicist with extensive experience in developing and directing results producing promotional campaigns for diverse industry talent. She has an exceptional track record in utilizing learned techniques and developed media relationships needed to secure appropriate coverage from variety of multi-media outlets. 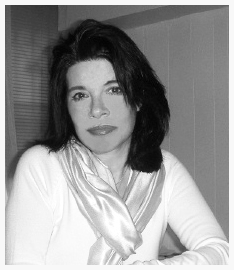 A gifted, personable communicator with natural ability to understanding artists and secure vehicles that promote maximum exposure, Doreen is a proactive researcher with reputation for viewing given situations from several perspectives and generating unique approaches for its development and delivery. Doreen is organized and attentive to detail with a demonstrated ability to produce quality high profile publicity campaigns within given deadlines. She is well-versed in reaching new media outlets, from independent bloggers, to influential online publications, to high-profile mainstream outlets such as Huffington Post and Daily Beast, and also savvy about using Facebook and Twitter, et al., to pique interest in new and forthcoming projects and as a means of publicizing breaking news relating to specific projects as those gain traction in the mainstream and/or achieve noteworthy goals meriting increased press attention. Her company, Doreen D’Agostino Media, is a cutting edge boutique media relations and marketing firm specializing in entertainment and pop culture. Throughout her career, projects she has represented include works by some of the towering artists and most popular personalities of our time, among these being Paul McCartney, Norah Jones, Ravi Shankar, Anoushka Shankar, Grammy, Oscar, Golden Globe award winning artist, Ryuichi Sakamoto, Sarah Brightman, Duran Duran, Dionne Warwick, Donny and Marie, Jazz at Lincoln Center (Wynton Marsalis), Carlos Alomar (David Bowie), Kenny Loggins, Todd Rundgren, Listen To Me Buddy Holly PBS concert and DVD ( featuring: Ringo Starr, Stevie Nicks, Peter Asher and others), Tina Turner, TLC, Ozzy & Sharon Osbourne, Peter Gabriel, Yo-Yo Ma, Joshua Bell, Art Garfunkel, The 5 Browns, Bobby McFerrin, Philip Glass, Grammy Lifetime Achievement Award winning band, Kraftwerk, Oscar and Golden Globe award winning composer John Williams, Pink Floyd’s Roger Waters, and Steven Mercurio, conductor for Andrea Bocelli. She has also worked on numerous high profile film soundtracks, including Star Wars, Memoirs of a Geisha, The Producers, Syriana, Kingdom of Heaven and Todd Haynes’ acclaimed biographical/music portrait of Bob Dylan, I’m Not There. She has enjoyed successful tenures as an executive at major recording labels: Sony Masterworks, EMI, BMG, Manhattan Records, Angel Records, and Capitol Records.